Last weekend we were having crafting session at PassionArt @ Bras Basah. The participants will take a picture (see above) and come to our counter to make their own easel pop up card. 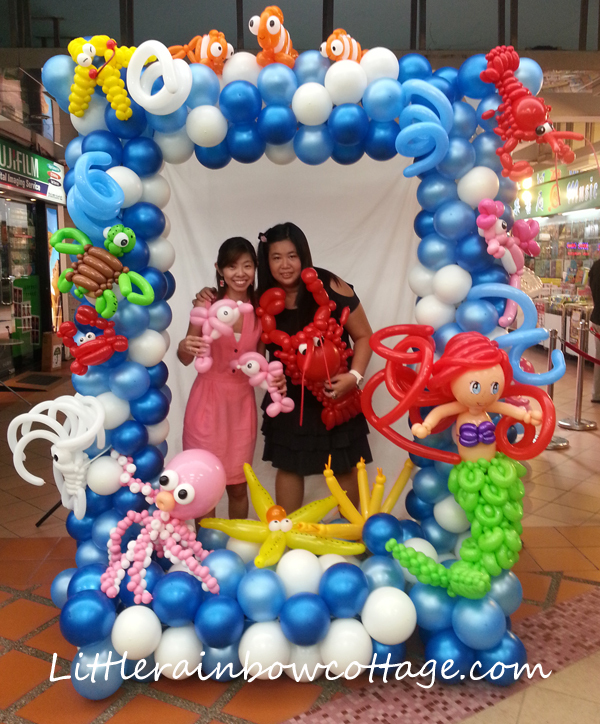 The above frame was made with lots of balloons and i just love the details of the mermaid and the many cute sea creatures. Overall it was a fun and enjoyable event!